A welcome trip back to Herriot-land! 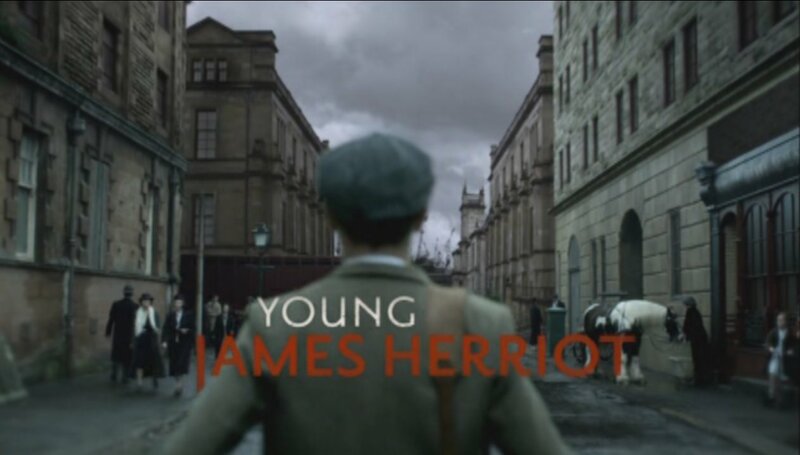 As a long-time fan of all things James Herriot, I was thrilled to see that there was a new program about his years as a veterinary student in Glasgow. All Creatures books, there were frequent mentions of his student days, so it is wonderful to have a program dedicated to those early years, when James was just learning the basics of being a vet. His love for animals was already long established, so it was natural that James would be drawn to a career as a vet. Young James Herriot is a 3 episode series starting when James first arrives at the school and through to the end of his first year. In Episode One, James meets his classmates, makes a bad first impression on one of his professors, and learns that the room he had reserved in advance is no longer available. Not a very auspicious start! During this first episode we are introduced to James's two female classmates: the outspoken feminist Whirley and the upper class beauty Jenny. Both will continue to have a major impact on him as he becomes accustomed to student life. In the first episode, James encounters a man with a young son whose livelihood depends on an ill horse. James takes it upon himself to help the horse, but since (as his instructors constantly point out) he has no background in science and it's his first week at vet school, will he be more of a danger than a help? In the second episode, James and his fellow students are sent out to gain practical experience when a local vet is taken ill. James and his classmate, the lazy but likable McAloon, get the job of assisting a pet sheep that has been hit with a bicycle (even though they'd hoped for something more juicy). In another instance, James inserts himself into a situation where a farmer's cows are losing their calves too early, and again whether he was a help or a hindrance is in question. James finds love in the third episode -- both in his personal and professional life. He begins dating the aristocratic Jenny and is thrilled to be offered a job in her family's kennels. Not so thrilling is the number of unpleasant truths that James discovers upon closer interactions with Jenny and her family. This episode also reveals the results of the end of the first year exams. Will James be able to pull it off, with all his dating, kennel work and other assorted diversions? The disc also contains a 21 minute bonus feature, The Making of Young James Herriot, a photo gallery and a James Herriot biography. 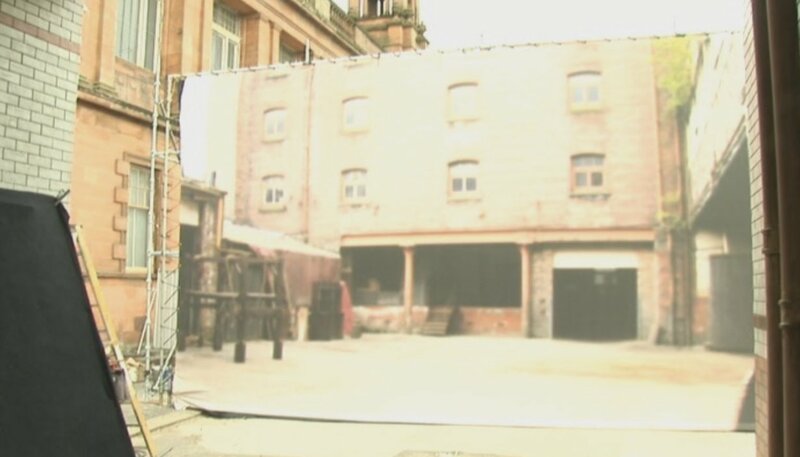 The bonus feature offers a fascinating look at how the veterinary college set was reconstructed, since the street where the college was no longer exists. There are also short interviews with the stars and also James Herriot's son, Jim Wight. 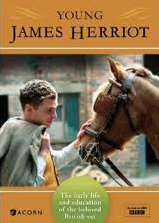 I greatly enjoyed spending time with one of my all-time favorite people, James Herriot, but I had a few quibbles with this series. 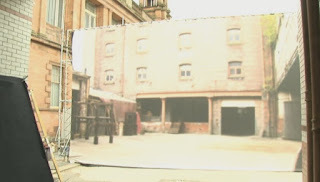 Since this wasn't taken directly from a book written by James Herriot, the creators of the current series had to piece it together using old diaries, case notes and other information (including a great deal of "poetic license," I'm sure). There were some things that therefore just didn't seem to ring true to me. For instance, James is awfully assertive and assured of his veterinary abilities, even from his first day at the veterinary college. What's even more strange is that people tend to take him at his word with no questions asked. He was a stranger and not at all qualified to be dispensing advice, yet many of the farmers and other workers seemed to defer to him. In his books, quite the opposite frequently occurred, even when he was a fully qualified and experienced vet! Another strange thing was that at one point, James despairs of ever being able to finish school and contemplates returning home. McAloon says something like, "You'll always remember your time in the big city," as if James was from some distant country town. But "James Herriot" was from Glasgow. I don't know why they needed to make him seem enthralled with the city he'd lived in his whole life! Other than that, though, it was very comforting and exciting to be back in the company of such a beloved character and to see how he got his start in the career he loved! Disclaimer: I received a review copy of Young James Herriot from Acorn Media.